Simple. Versatile. Ubiquitous. The half square triangle - HST - is a basic foundation block, used as a component of countless other blocks. To assemble, you need two squares of equal size. 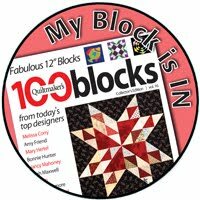 Draw a line down from corner to corner on the wrong side of the lighter block. Place right sides together, the drawn diagonal line facing up. 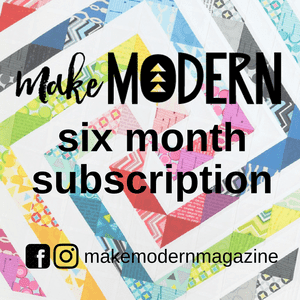 One each side of the diagonal line, stitch at ¼” distance. Cut apart on your drawn line (between the seams). You've now created two (2) HST. Press the seams to the darker side and trim to desired size. The table below can help you figure out the size requirements for the initial cut squares in order to get the finished HST size desired. 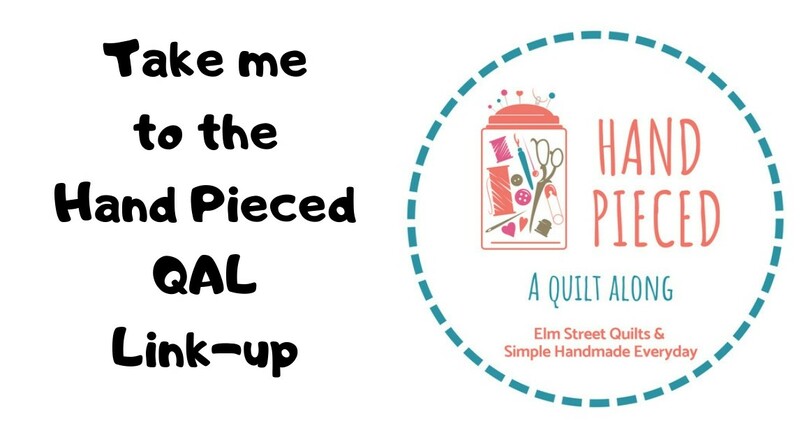 For example, a HST that will finish at 2'' in your quilt, or 2½” unfinished (the trim size) requires the initial squares to be cut at 3''. 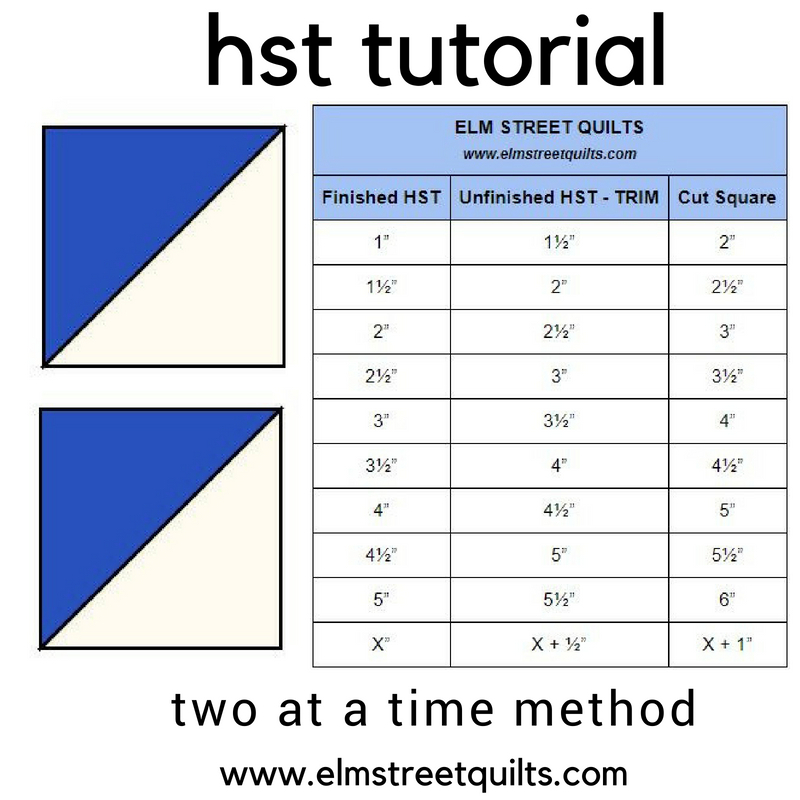 The basic formula is easy - take any finished size you need for the HST and add 1'' (one inch) to get to the dimension of the cut square. (Technically, you only need to add 7/8 '' but some rulers don't have markings at 1/8'').